We invite you, with Aloha, to be our guests on the lush tropical "Garden Island" of Kauai. Imagine all the benefits and hospitality of home with the comfort and convenience of your own private tropical setting. 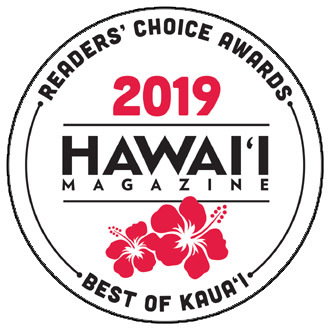 Hale Kua Bed and Breakfast offers it all with our beautiful, completely furnished and well appointed self-catering accommodations. 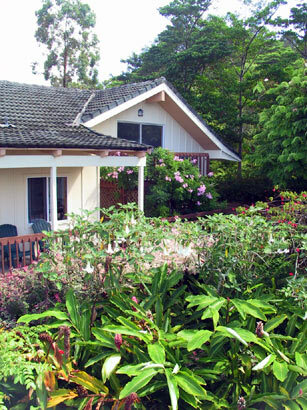 Located on the sunny South Shore of Kauai just minutes from Poipu Beach, our secluded hillside bed and breakfast offers peace and serenity in one of our Cottage or Gardenia unit. They offer privacy, convenience and many thoughtful amenities. 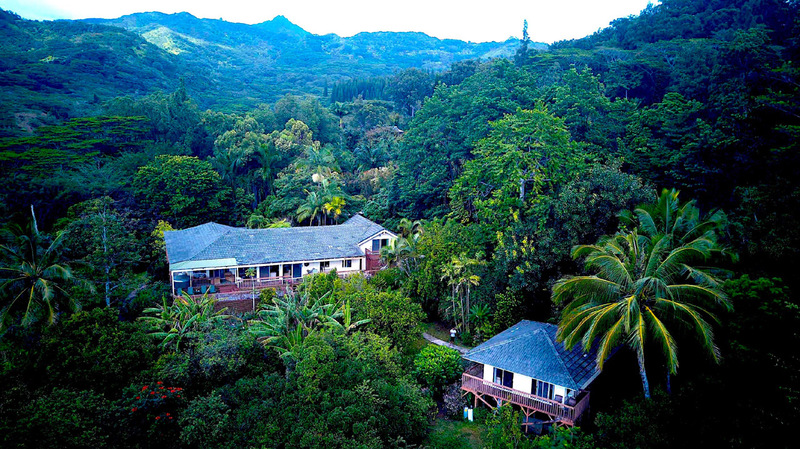 The breathtaking panoramic views from these South Shore Kauai vacation rentals extend from the ocean to the south, along the rolling pastured hillsides of Lawai valley, to the majestic peaks of Mount Kahili to the north. It is a place of unparalleled tranquility and lush beauty. Honeymooners delight in the privacy and beauty that Hale Kua has to offer. We provide the perfect setting in which to start your married life with peace and privacy. Many also enjoy the celebration of a special anniversary or to renew their treasured wedding vows. Your Hosts, Bill and Cathy Cowern, moved to Kauai from New Hampshire. In addition to enjoying "talking story" with their guests, they are very active in agriculture on Kauai. Their beautiful 8 acre property is a developing tropical timber arboretum, graced with many species of tropical fruit and flowering timber trees. Part of their vision is to create a biodiverse tropical forest complete with trails and species identification. For the value conscious traveler, we offer very reasonable bed and breakfast rates while maintaining high quality accommodations.